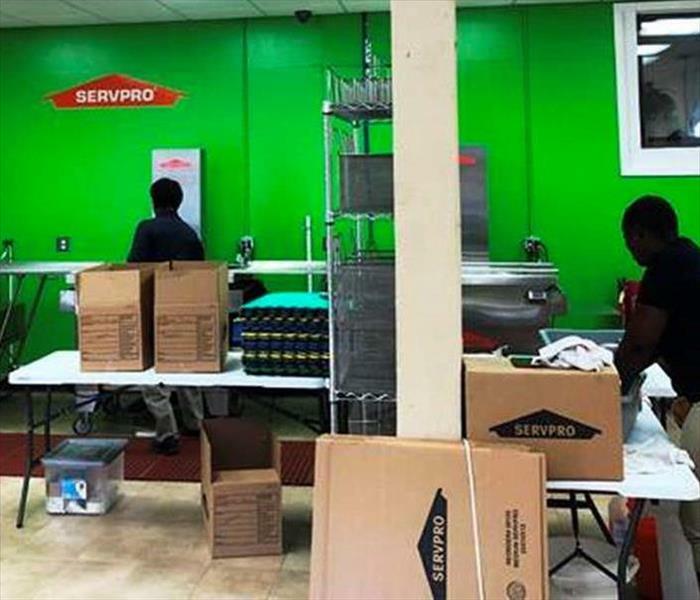 SERVPRO of Brandon is a trusted leader in the restoration industry. Since 1967, we have specialized in fire and water damage cleanup and restoration for residential and commercial properties. Our office uses state of the art technology to determine the source of water damage. Thermal Imaging cameras, digital moisture meters, and heavy water extraction machines are examples. SERVPRO of Brandon is ready to respond 24/7. Our local IICRC trained staff and Certified Firm are ready to take make it "Like it never even happened." and can be onsite quickly. This office is locally owned and operated by Rankin county residents. We have experience with insurance claims and insurance companies in the Rankin county area. SERVPRO of Brandon is ready to help you in a time of need. When you experience a fire or water damage, choose us a local trusted service provider. SERVPRO of Brandon is locally owned and operated—so we’re a part of this community too. We are also part of a national network of over 1,700 Franchises, which enables us to respond quicker with more resources. For major storms and disasters, we can call upon special Disaster Recovery Teams strategically located throughout the country.